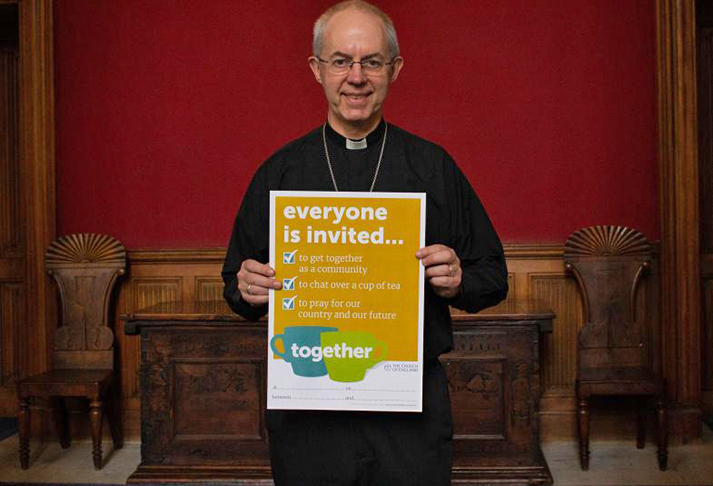 Churches up and down the country will be encouraged to host informal café-style meetings over the weekend of Saturday 30 March to bring together people of all standpoints and encourage open discussion. "As followers of Jesus Christ we are called to demonstrate that love for God and for each other, along with compassion, solidarity and care for the poorest, are our defining values. These values have been the bedrock of our national life for many centuries. They are not simply our history: they are also our best hope for the future.